Pinterest is now an essential destination for shoppers looking for inspiration – especially during specific events, such as Valentine’s Day today, when many people are looking for the perfect gift idea! With this in mind, we’re going to be taking a look at the social network, and its latest e-commerce features. With 150 million active users per month, the Pinterest community is growing day by day. Although it still remains less popular than Facebook and Twitter, Pinterest is nevertheless a significant entry point in the consumer shopping process. Historically a more feminine platform, the audience has become more masculine over the years, with 40% of listings on the platform now made by men. More than 50% of Internet users who visit Pinterest are looking to shop, with over 10 billion recommendations made per day by the social network. Faced with these new consumer behaviours and the growing potential of online commerce, Pinterest launched their “Buyable Pins” in 2015. Tested on several brands, this feature allows users to make purchases directly from the platform without having to leave it. To help advertisers looking to create campaigns on the social network, Pinterest has launched new advertising formats such as Promoted Pins and Rich Pins. This last one adds additional information to your pin: an application to download, like a product sheet, a recipe, etc. Last summer, they took this even further by launching their first video format ad. Note: the “Promoted Pins” are only available in the UK, US, and Canada. What are Pinterest’s latest ecommerce features? 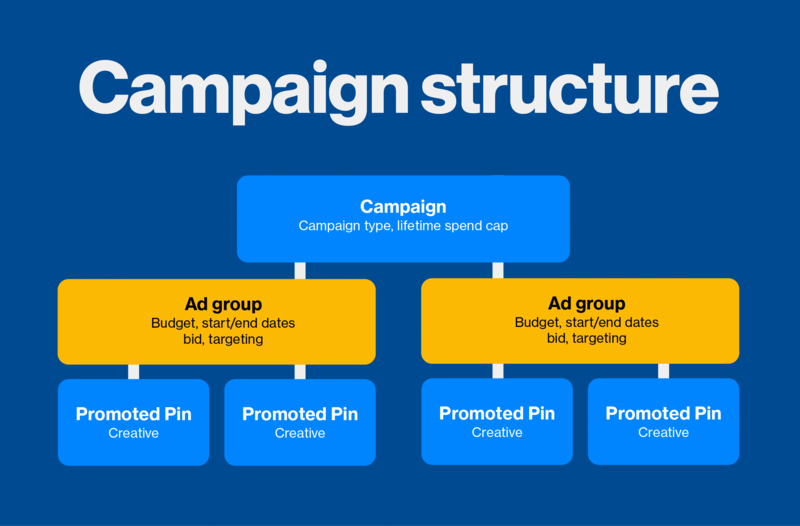 To help advertisers better manage their ads, Pinterest updated its campaign structuring with Ad Groups. The aim is for Pinterest to allow advertisers to improve the execution of their campaigns (budgeting, targeting, duration, etc). With more than 2 billion searches per month on Pinterest, most of them are carried out by people looking to shop. Based on this observation, Pinterest recently announced the launch of a new advertising format, Search Ads, based on requests made by users. Advertisers will be able, through keyword campaigns or even shopping, to give visibility to their products and/or services in the search results. This feature is currently being tested by eBay, Garnier, and Target. Following in the footsteps of Google Shopping last September, it was Pinterest’s turn to launch “Shop The Look”. With this new feature, users will be able to buy the products in the pictures they find. By clicking on the blue dots on the picture, a selection of products will appear, enabling the user to choose the product of their choice, and then, if they want, buy it. 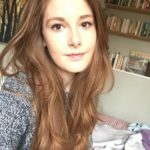 With “Shop The Look”, Pinterest goes beyond simple inspiration and allows its community to go beyond researching, and actually shop on the social network. In the same vein as the music app Shazam, Lens (currently in beta) will allow Pinterest members to identify products in their everyday life that inspires them. They can snap a photo on their smartphone, and then, with an artificial intelligence system, Pinterest will offer them a series of similar products. With this new feature, the social network passes connects the virtual world to the real world. Pinterest have also announced the arrival of “Instant Ideas”. Appearing in the news feed, Pinterest will now be able to recommend pins to users. With these latest updates, Pinterest is evolving its user experience by suggesting the most relevant pins to users according to their initial research or their navigation. These updates reflect a real change in the behaviour of Internet users who increasingly use social networks to shop.